The most crucial period of time after a dog is adopted is the first two weeks. 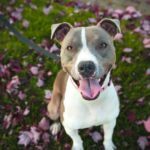 Dogs are most frequently returned to shelters or rescues in this duration due to new owners expecting too much, too soon. The following is what to expect in the first couple weeks your new dog is home, and common difficulties that are encountered. Many adopters change the name of their new pets. While most dogs are quick to learn their new name, this process may still take 2 – 3 weeks. While your dog is adjusting to the surroundings and the new moniker, have patience with your pet. After all, how easy would it be for you if your family suddenly started calling you by a different name? Even if your new pet is supposedly potty trained it may take time for your dog to acclimate to new expectations. Make sure to develop a routine and stick to it closely, taking your pet outside more often than you believe is necessary in the initial days. If your dog does potty in the house, remember that potty training issues are entirely fixable with a little bit of patience and training. Until you get to know your dog, it is a good idea to keep your pet in a crate when you are away from home, especially if you have other animals in the house. Additionally, the crate is an indispensible tool for potty training. Most dogs can be crate trained easily within a matter of days. Always use the crate as a positive space for your pet by providing high-value treats (like a peanut butter-filled KONG), and never use the space as punishment. Occasionally, dogs are returned within the initial two weeks after adoption because the owner feels he or she is not properly bonding with the pet. While it was likely love at first sight for you, the dog may be experiencing a lot of anxiety that prevents it from feeling the same way. Additionally, certain breeds are more accepting of change than others, and each individual animal may behave differently due to past experiences in new homes. A common problem that owners have with newly adopted dogs is lack of communication skills. It can be frustrating when a new houseguest does not seem to understand words such as “no,” “stay,” or “leave it.” However, it is unrealistic to expect a dog to immediately adapt to its new surroundings and understand the words, voice, and tone of an unfamiliar human. One way to jumpstart the communication process is to enroll in obedience classes. Many dog training facilities will even offer a discount for adopted dogs. The first few nights with your dog may be difficult. If you are crating your pet, he or she may whine and cry when it is time to go to bed. This behavior is normal, as your new pet will not understand the routine and will fear being abandoned. Alternatively, if you allow your dog to roam free in the house at night you may wake up to mild destruction, as chewing is a way for dogs to relieve their own stress. Finding the right balance can be difficult in the early days with your new companion. 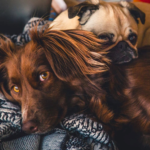 Rest assured that barking, whining, and chewing will all subside over time and that these behaviors are simply ways for your pet to express anxiety. If you already own other animals, it is unrealistic to expect the pets will get along perfectly from the get-go. Many animals are returned because of minor quarrels among resident pet and newcomer. The first week or two can be rocky because dogs must determine the hierarchy within the household. The new dog is likely to challenge the resident pet, which can lead to small “fights” that are more bark than bite (but scary nonetheless). Never throw two dogs together without first properly introducing them, and respect that introductions must be made slowly. Even dogs that appear to hate one another initially can become close friends later on. 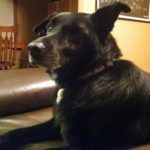 Dogs thrive on routine, and this is one reason why the first two weeks can be difficult on both dog and owner. Until your new dog learns the expected meal, potty, play, and nap times, he or she may appear anxious or stressed. Make it a priority after bringing home your new dog to stick to a strict schedule in order to help your pet adjust. 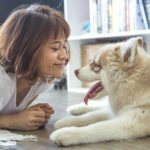 It is important to understand that your pet will not show its true personality until it has fully acclimated to the home and trusts the residents. Until this scenario occurs your pet may seem uneasy. Often, owners find that dogs which barked excessively in the first couple weeks are silent thereafter; or that a counter-surfer learns not to search for food. Be firm but loving in any corrections that are made. Before you adopt a dog, take the above factors into consideration. Avoid bringing home a new pet right before a big life change, such as the birth of a baby or a cross-country move. If possible, choose a time that coincides with a break from work or school, and accept that you will have less freedom in the initial weeks until your animal becomes comfortable. 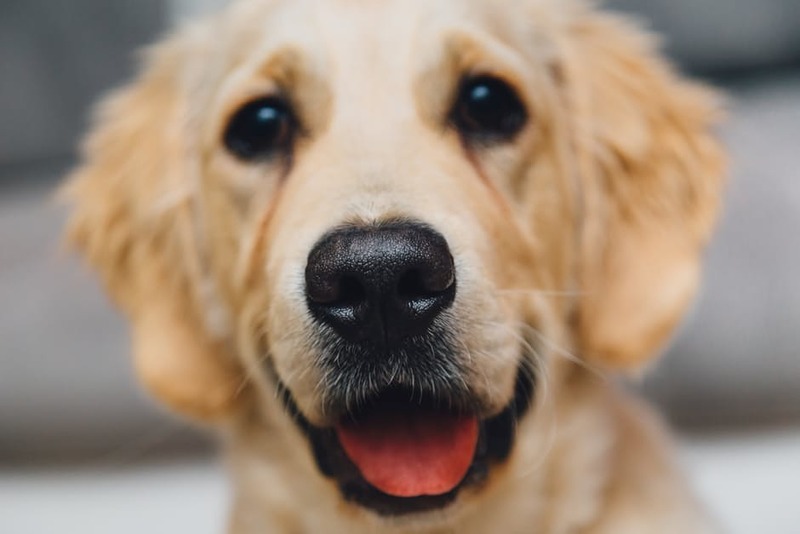 Additionally, avoid making expensive purchases until after your new dog has become acclimated to the home, as many puppies or untrained dogs are returned to shelters for destroying an expensive item. Remember, until you teach your pet the house rules, it is unfair to have any expectations for a new dog. If you are considering returning your pet to the shelter, try to make it through the first two weeks and see if the situation improves. Often, animals simply need stability in their lives in order to let their personalities shine. Do not hesitate to contact the shelter or rescue and ask for advice, as many organizations will do whatever it takes to ensure the animal is not returned! «Is a Pomeranian Right for You?